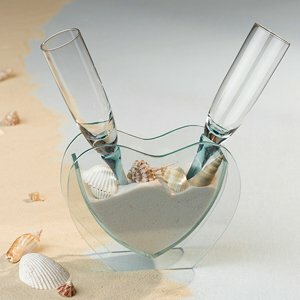 Looking for a cute and different idea for toasting glasses? Love the beach and the casual atmosphere down by the shore? 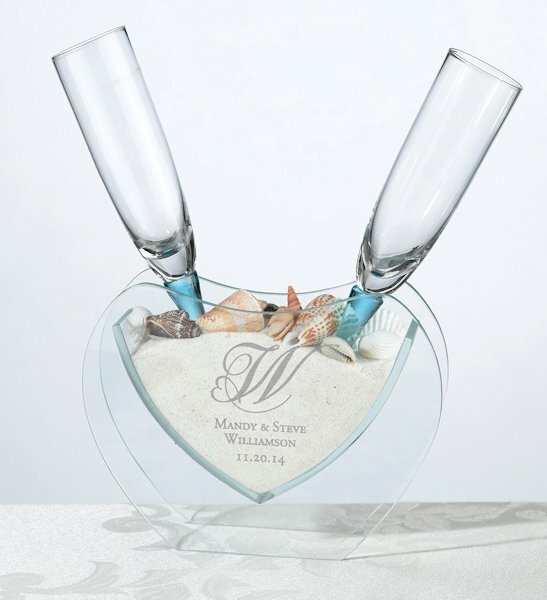 Perfect for a destination wedding, this set includes a pair of stemless toasting flutes, a glass vase in the shape of a heart, sand and seashells. The vase measures 7" x 5". Each toasting flute is 8.5" tall. The stem of each flute is colored light blue and ends without a foot. The flutes have no bottoms, so they're meant to sit back in the sand after the toast. It's a cute way to bring a touch of the beach back home too after the wedding. Plus, they'll look cute on your head table. Raise a glass as the Best Man makes his toast. How do i customize something? 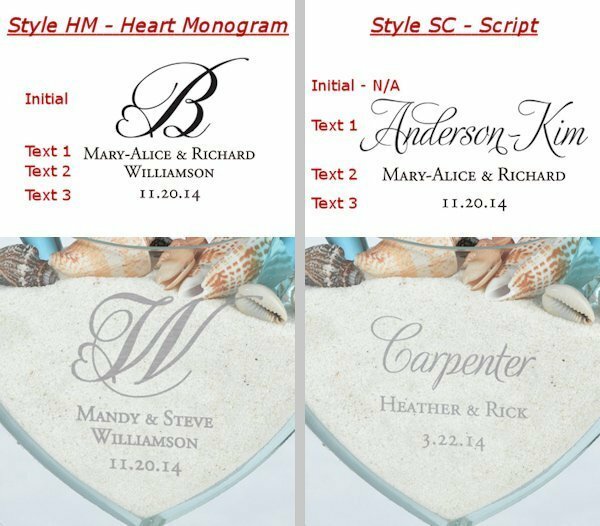 You can use the designer tool/personalize now tab which you can see after adding the Coastal Mist Stemless Toasting Flutes in your shopping cart.